Mithai: What Goes into the Box of Deepavali Sweets? 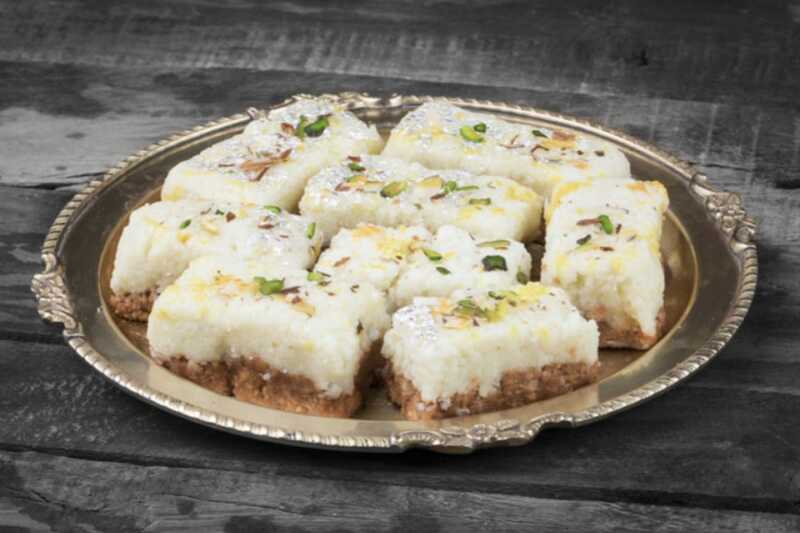 The types of mithai are dizzying, from laddus to burfis, rasgullas to pedas. So we're here to help. You might know it as Deepavali or Diwali, depending on which part of India you come from and are more associated with but it means the Hindu festival of lights all the same. 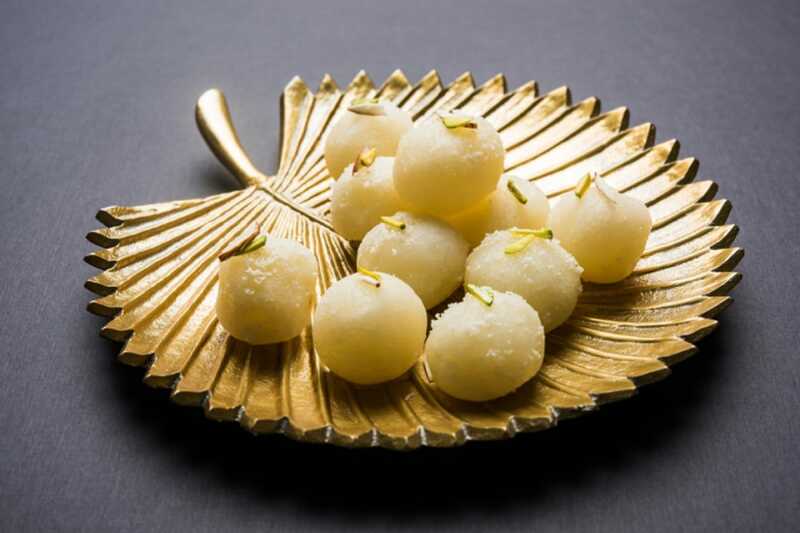 This year, the festival falls on 18th October, and for approximately a billion revelers around the world, that means it's time to start thinking about sweets — specifically, confections called mithai. In Pakistan & India's diverse languages, sweets are given numerous monikers but a common name it goes by is mithai (मिठाई). Homemade or store-bought, mithai represents more than just deliciousness. The sweet treats are typically first offered to the deities during prayer time and then shared by the family and friends. They are also often gifted to family, friends and neighbours. If you're ever lucky enough to be presented with a box of the goodies, here are some of the popular types to help you identify what it is you're having. Also known as the kaju katari or kaju barfi, the kaju katli is a popular Indian sweet made with sugar, cashew nuts, pandan essence and ghee. The result is a deliciously thick, creamy cashew nut block that's reminiscent of fudge. 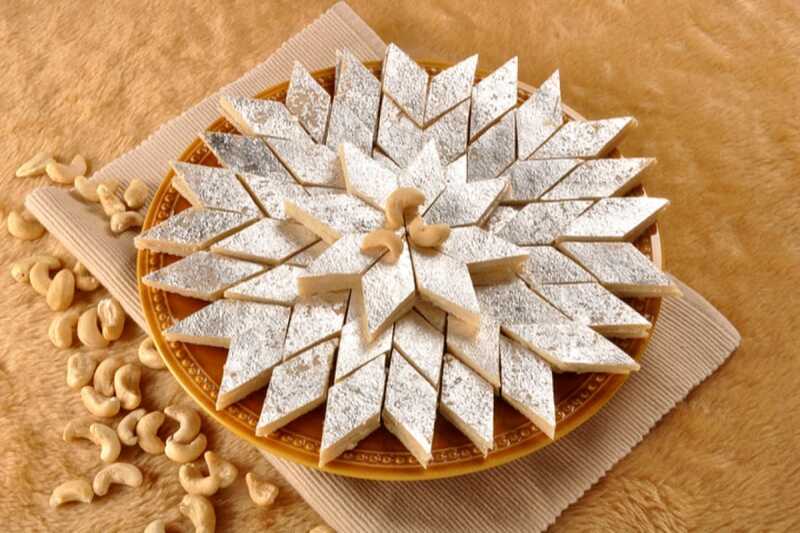 An edible silver foil is then spread over the treat for decoration before it is cut into its distinctive diamond shapes. Kaju katli and other kaju sweets are pricier than most mithais on the market and thus, hold top spot for the most fancy mithai. So if you're looking to impress someone with a box of mithais, kaju katlis are your best bet. Also known as a milk cake or the milk burfi, the Kalakand burfi tastes just like a fudge that's made with condensed milk. This rich dessert is one of the most popular North and East Indian desserts as well as the most labourious - West India likes their milk cake fried, which is known as ajmeri Kalakand. In the past, milk has to be cooked low and slow over several hours while continuously thickened with sugar. Today, home-cooks can quickly recreate the dessert by combining condensed milk, paneer and sugar over a low flame for ten minutes. They're delicious, generally well-liked and a little more forgiving than kaju katlis on the price scale so a box of Kalakand burfis are best reserved for friends and close acquaintances. 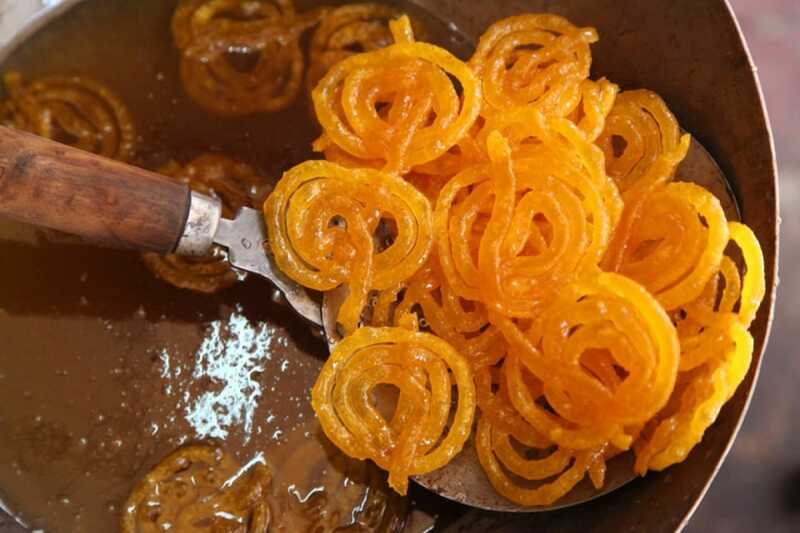 The jalebi is believed to have originated in Punjab, an Indian state bordering Pakistan. This fried delight is typically prepared for just about any special occasion and are usually eaten as is. And like most Indian desserts, it's made with the humblest of ingredients; in this case, a flour and yoghurt batter before getting fried off and dunked in a flavoured sugar syrup. 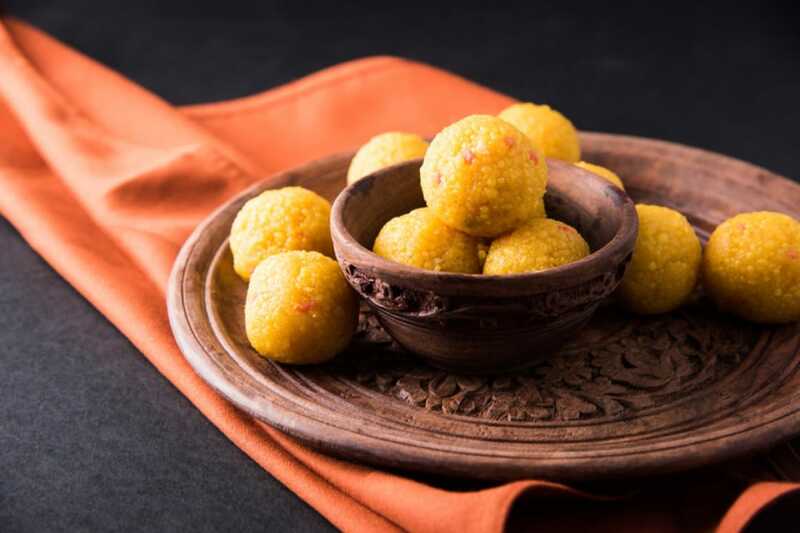 Laddu or laddoo is an eternal favourite during celebrations and there are numerous variations of the Indian sweet, each made a little different. The motichoor laddu however, is native to Bihar, an East Indian that borders Nepal. A batter of chickpea flour is hand rolled into little spheres and then deep-fried in ghee until it achieves a toasty golden hue. As with laddoos, pedas are usually served during religious occasions and festivals. 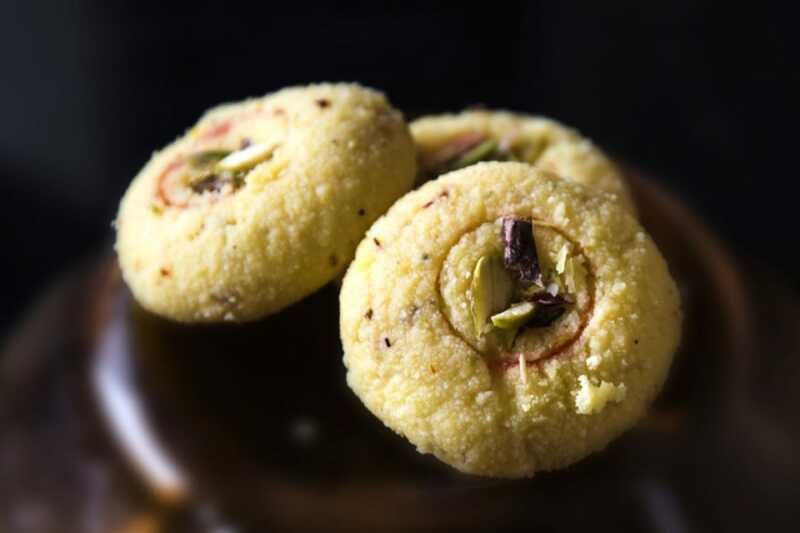 The sweet treat is typically made with sugar and khoa, a dairy product widely used in Indian cuisine that's made with dried whole milk or milk thickened from being heated in an open pan, which gives it a texture drier than fresh cheeses such as ricotta. It is then garnished with some crushed pistachios or cardamon seeds. We were promised light, spongy and melt-in-your-mouth and we were not disappointed. This indian sweet is essentially cheese balls cooked in a cardamon-flavoured syrup. The ball-shaped dumplings are made with one of the most incredible fresh cheeses, chenna - a cheese made from the milk of a water buffalo or cow, and semolina dough, which gives the dumpling a spectacular chew.